Yes, all of us on the East coast know it’s freezing cold today, like freeeeeeeezing cold, but Spring did show its face last week and hopefully will come back to visit after this small cold front. 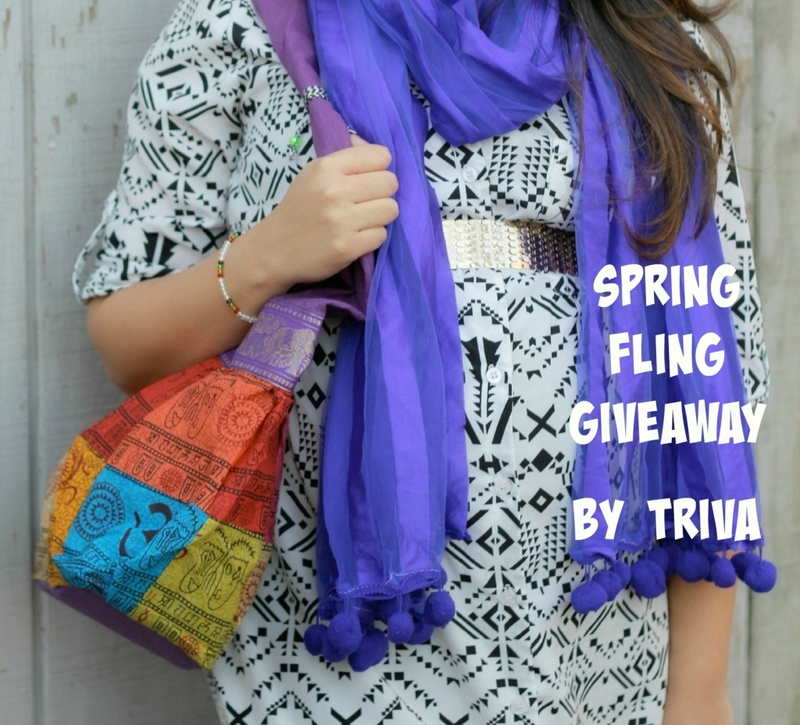 In looking forward to some warm weather back in our lives soon, we are GIVING AWAY a FUN and COLORFUL Indo-western hobo handbag from our TriVa collection! We are obsessed with these Indian inspired accessories, especially now that all our fun clothes are coming back out. 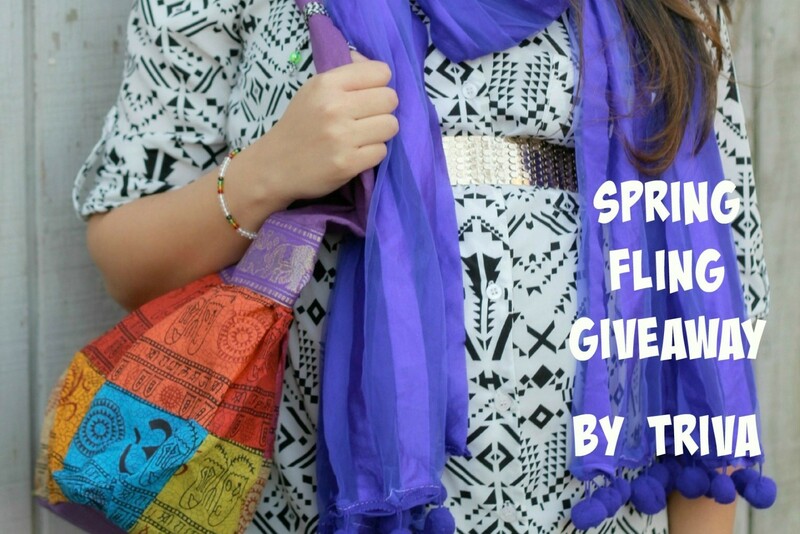 There are 3 ways to enter this fun giveaway! A winner will be chosen next Friday, May 6, 2016 at 11:59pm. 1. Comment below on this post. 3. Tag 2 friends on our Instagram post of the giveaway (Sheena, Nina, Dipti). Do all 3 things to enter 3 times! This bag is amazing ! I love it! 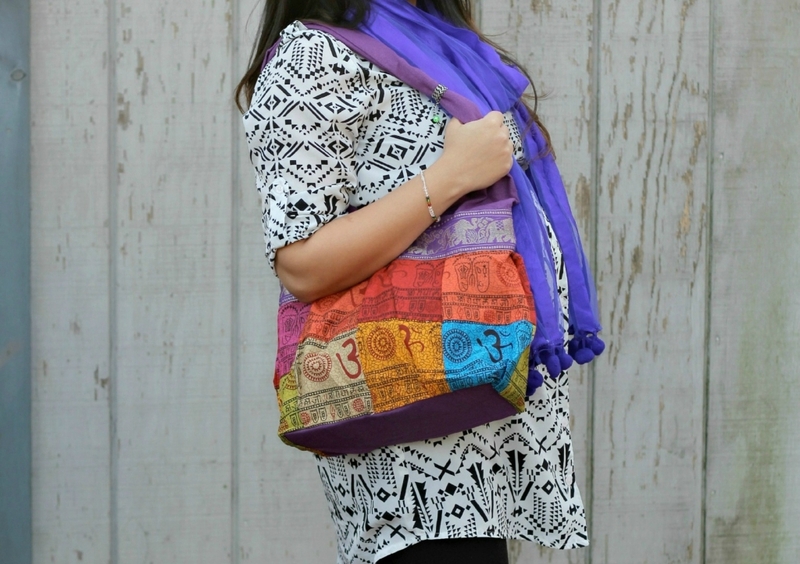 I love the bold and vivid colors of this bag! Love the bag. Really love the blog! Thanks for the giveaway! I love that bag. The colors are so vibrant!